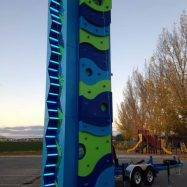 Innovative Leisure presents a range of fun colourful climbing walls – a new twist to adventure attractions. 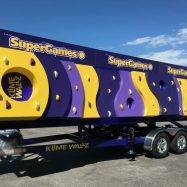 These walls are often referred to as “fun walls” and seen by many as a great way to introduce climbing to kids whilst also being commercially viable for the operator. 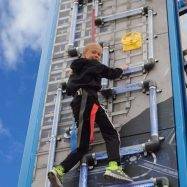 Ideal for birthday parties, school groups and designed to inspire young climbers they provide a range of challenges whilst everyone has fun. 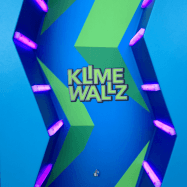 The Mobile Klime Wallz range consists of many different designs, each providing a varying challenge. 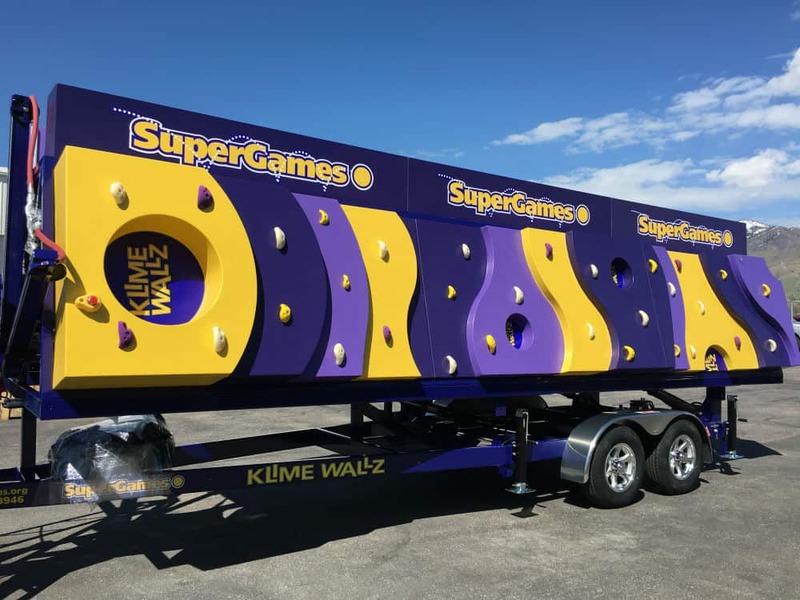 Mounted on a 7.3m trailer any three of these colourful climbing walls can be combined to create an appealing and unique mobile climbing attraction. 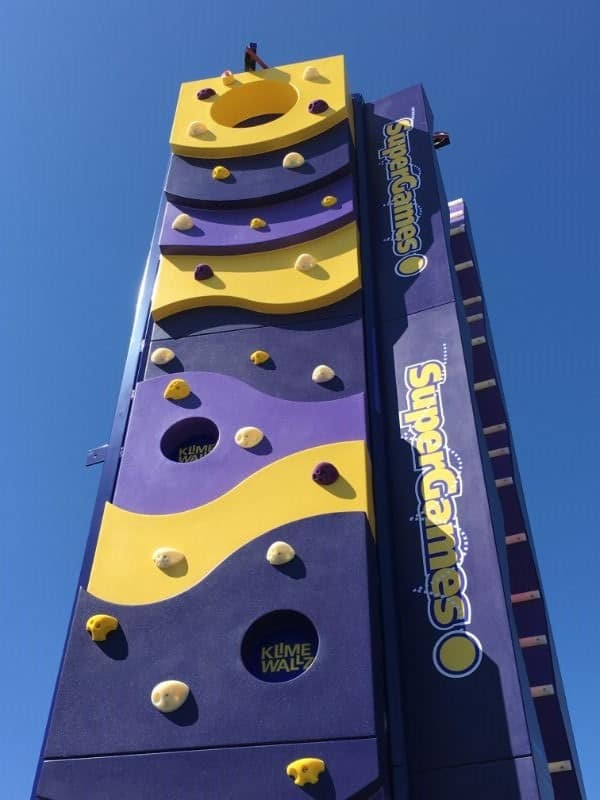 Three walls mean three participants can climb at any one time with the varying climbing challenges encouraging repeat climbs. 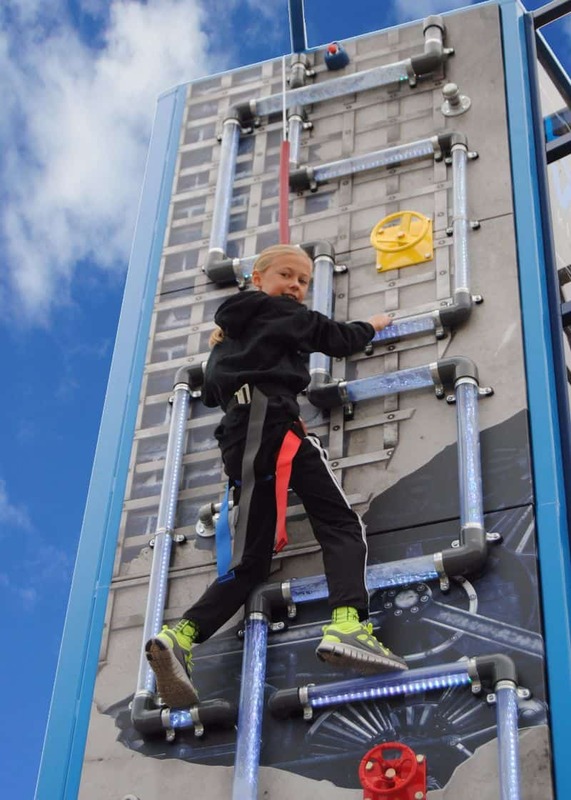 As with other climbing walls in the Innovative Leisure range, these walls utilise Hydraulic Auto Belays for complete peace of mind and confidence in safety. 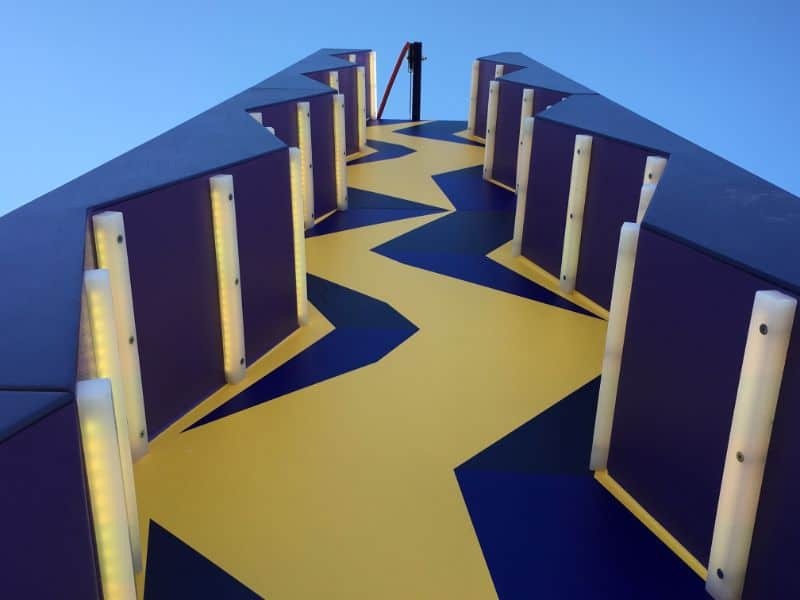 We strongly recommend our Climber Timer upgrade on these walls to add a competitive edge while our illuminated handhold upgrade will add ever more eye-catching detail to your walls. 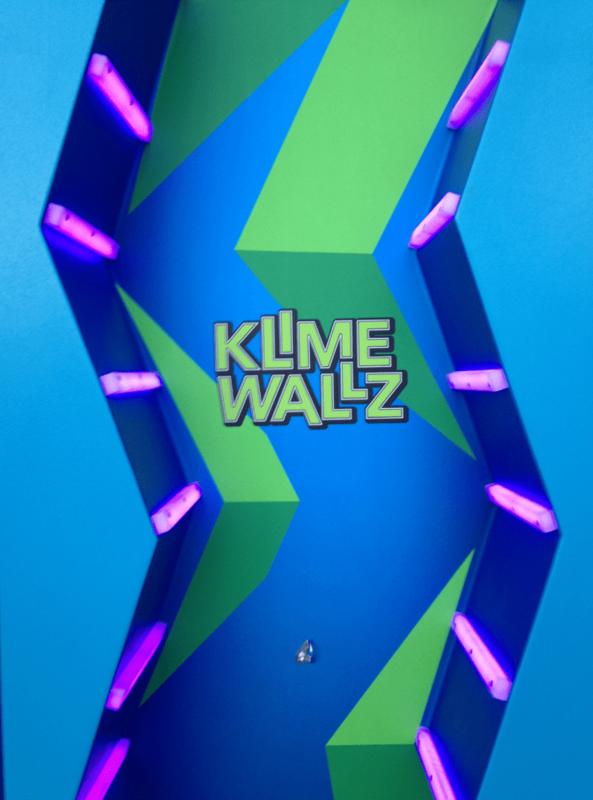 Minimum participation height on the Mobile Klime Wallz range is 1.1m meaning children of a young age can also take on the challenge. 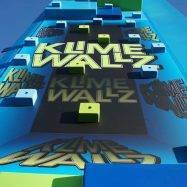 Again, as with all climbing walls in the Innovative Leisure range, Mobile Klime Wallz come complete with ADIPS inspection and full UK NAFLIC design review. 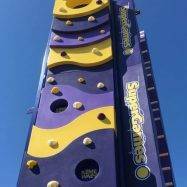 With no handholds to help you, use the square shaped apertures on this wall’s surface to rise to the top. 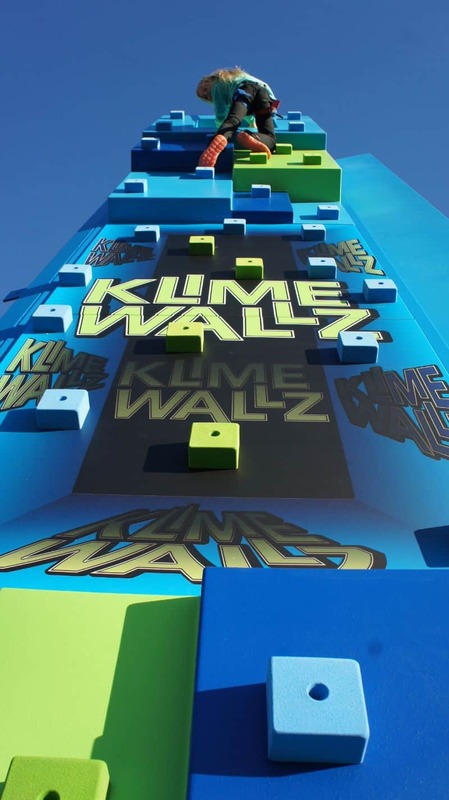 Our much-loved Coconut Tree Climb can be incorporated into any Klime Wallz line up. 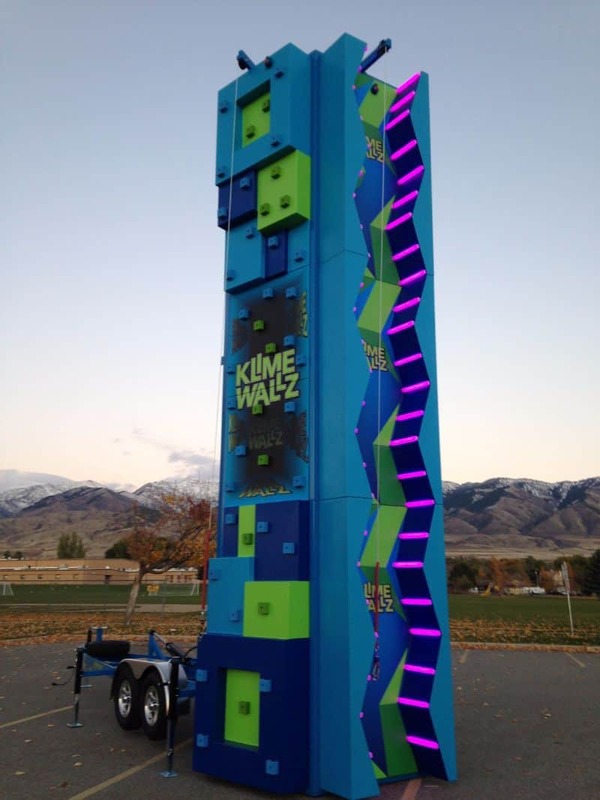 Use the handholds as well as the vertical pillars on this wall to navigate your way to the top. The only way up is the climb up the rungs of this ladder. Unfortunately, they were built for a giant! 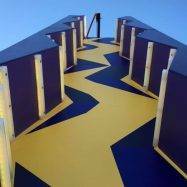 Use the handholds as well as the contours of this wall to climb to the top. A tricky prospect, the walls ‘waves’ don’t give the climber a lot to hold on to. 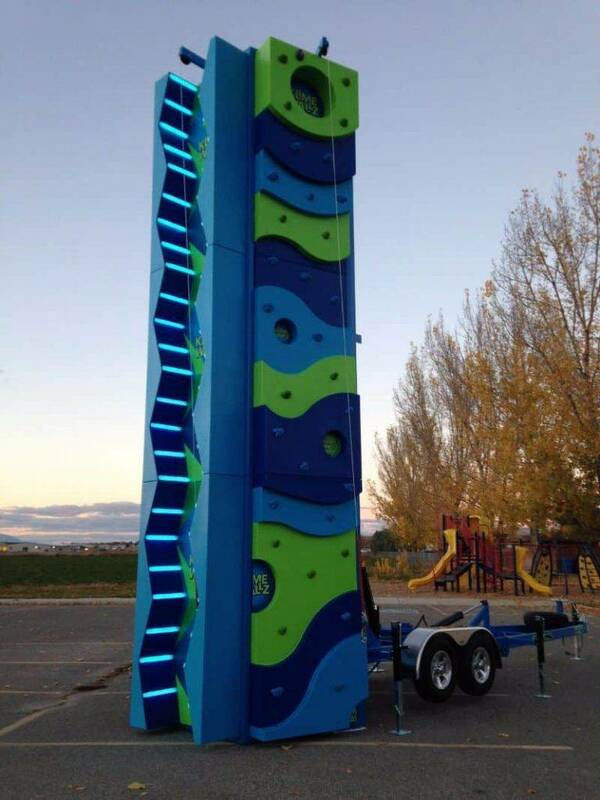 Just like it’s horizontal brother, vertical waves makes for an awkward yet challenging climb. 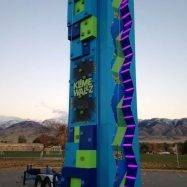 So-called for its resemblance to a zip, the climber negotiates their way up this wall using the foot grooves of either side of the zig-zagged chasm they’re climbing in!